Titanium Handmade Brick provides a unique and monochromatic color option with an intricate interplay of hand-stained silvery grays. “When developing new colors palettes and profiles, consistency is key,” said Ramsay Hawfield, Vice President of Marketing and Product Development at Cultured Stone. Cultured Stone unveils five new color palettes and two new profiles during the 2019 National Association of Home Builder’s International Builders Show (IBS) in Las Vegas, Nevada. Each debut showcases the exploration and development of contemporary aesthetic touches as the market embraces color and patterns that skew more modern. The new products include two new colors in Handmade Brick, two new colors in Country Ledgestone and a new color in Cast-Fit®. The large-format Stanhope Textured Cast-Fit® also debuts along with a panelized version of Drystack Ledgestone. Cultured Stone is exhibiting in booth C4519 from February 19-21, 2019, alongside numerous brands from several divisions of parent organization Boral North America. TWEET THIS: New at #IBS2019: @Cultured_Stone debuts five high quality color palettes and two new versatile #stoneveneer profiles. Textured Cast-Fit® and Carbon Cast-Fit®: Cultured Stone adds to its large-format product offerings with Stanhope Textured Cast-Fit, presenting a weather-worn array of dusky grays. Carbon Cast-Fit also debuts as a smooth interpretation of the subtle shifts of light and dark tones present in morning fog just before daybreak. 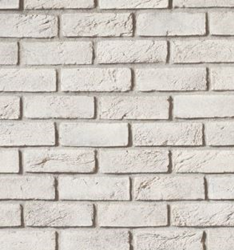 Canvas and Titanium Handmade Brick: The new hues provide unique, monochromatic color options with deft highlights that emphasize the underlying texture and charm of hand-formed bricks. Canvas presents a measured array of saturated white and off-white tones, while Titanium virtually ripples across the rustic surface in an intricate interplay of hand-stained silvery grays. Panelized Drystack Ledgestone: Cultured Stone launches a panelized version of its Drystack Ledgestone profile in three color options: Rubicon, Melrose and High Plains. As the darkest palette in the profile, Rubicon presents a strikingly contemporary blend of deep grays and carbon-inspired tones. Melrose incorporates a sophisticated assortment of light-gray hues, and High Plains showcases an earthy grouse color with tan undertones. Gunnison and Wheaton Country Ledgestone: Gunnison and Wheaton lead the charge in addressing the increasing demand for saturated, monochromatic color options. Gunnison reveals hues of brooding charcoal and gunmetal punctuated with highlights of powdery light gray, and Wheaton anchors the lighter side of the spectrum with a compelling mix of tawny silvers and cool neutral grays. For more information on Cultured Stone and its products, visit CulturedStone.com. Cultured Stone originated the manufactured stone veneer category and continues to lead the industry in innovation, reliability and precision. For more than 55 years, Cultured Stone has produced stone and brick veneers of the highest quality for interior applications, such as fireplace surrounds and kitchen backsplashes, or exterior accents. Backed by a 50-year limited warranty, Cultured Stone products are engineered to meet the strictest requirements in the industry and contain an average of 50 percent pre-consumer recycled content. The company operates two manufacturing facilities in North America: Napa, California, and Chester, South Carolina, and the products are available nationwide from more than 850 dealers and globally in Europe, Asia and Australia. For more information, detailed product specifications and other trade resources, visit CulturedStone.com. The NAHB International Builders' Show® (IBS) is the largest annual construction show in the world attracting 60,000 visitors from more than 100 countries. IBS brings together the industry’s most important global manufacturers and suppliers and showcases the latest products, materials and technologies involved in all types of buildings—including wood, concrete, stone and brick.